Find a fruity surprise baked into the centers of these jam-filled scones. 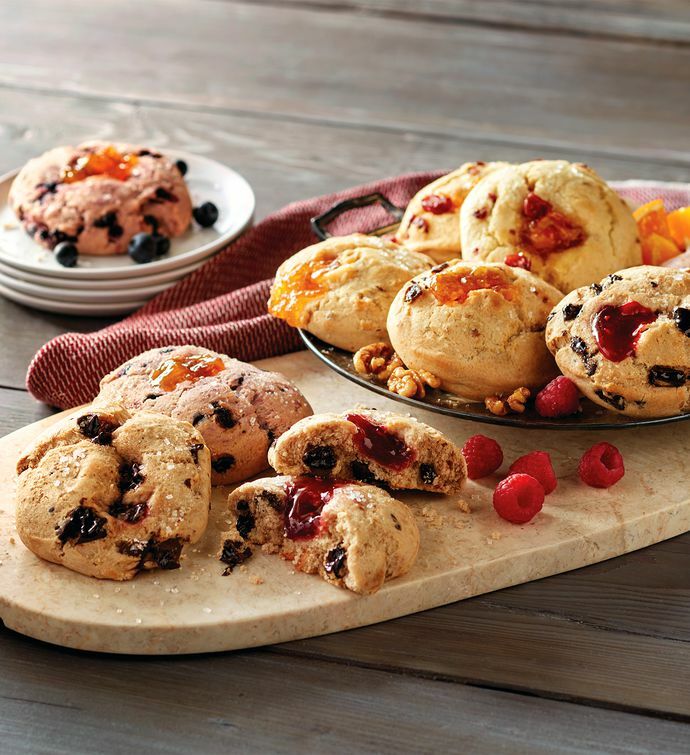 Each scone is made with real butter and fresh buttermilk, then filled with fruity fillings and baked to perfection. Enjoy the delightful combinations of blueberry and apricot, raisin walnut and apricot, cranberry orange and orange, and chocolate and raspberry. Ideal for breakfast, brunch, teatime, or anytime.